Yesterday we spent the day in good old Monaco. 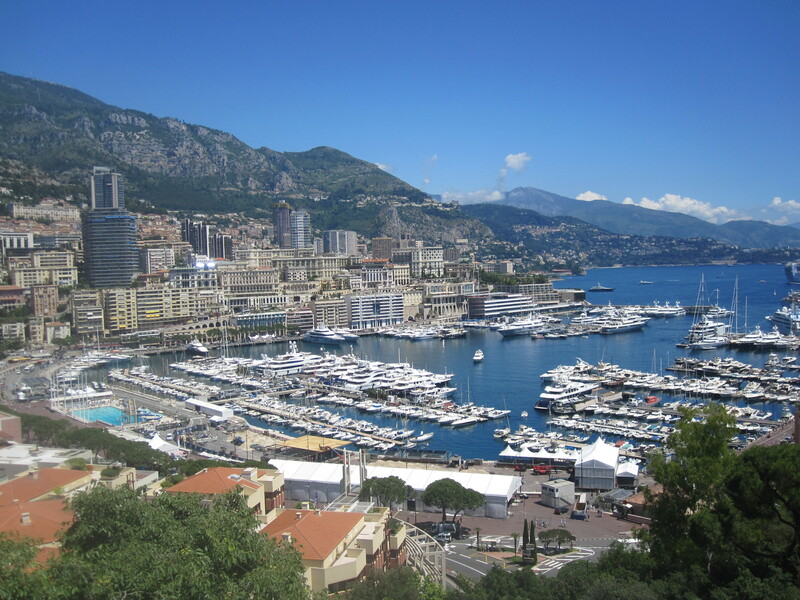 This was in fact my fifth visit to Monte Carlo and before leaving for the cruise I decided it would be nice to do a tour here this time and take in a little more of what this beautiful and very rich port has to offer. During my Caribbean cruise I booked an excursion with the Shore Excursions Group and had such a wonderful experience I decided to do the same again and use them this time for a tour in Monaco. After I booked the trip I realised we would not get ashore until after the tour meeting time. I informed Shore Ex and they went to every length to alter our meeting time, perfect! Our guide met us just yards from where the tender boats dropped us off and by luck it turned out we were the only people on the tour. The tour usually would only take 8 people anyway but to find out it would be a private tour started the day perfectly. Our guide mentioned what sights the tour took in and said we could alter it if we wished as there were just two of us, so we cut one or two bits out and custom made it to suit us. 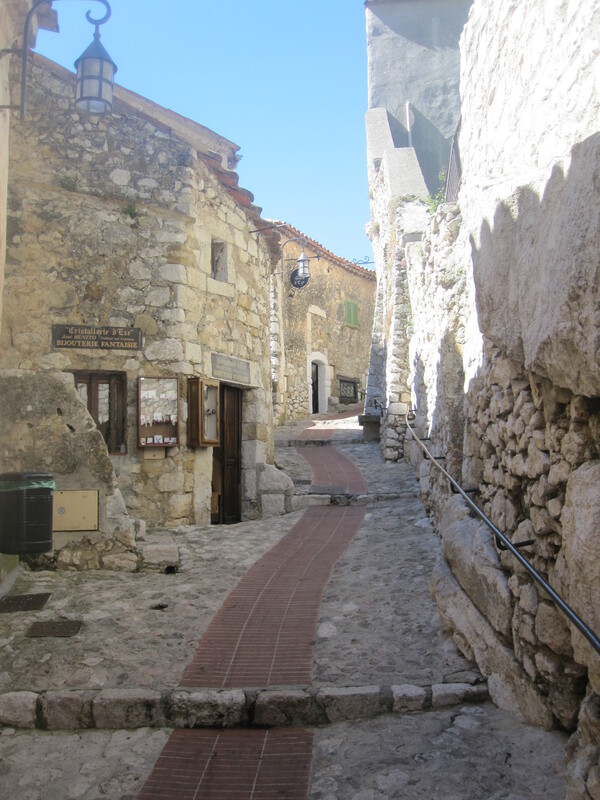 Our first stop was the truly stunning medieval town of Eze. The views from here were breath taking and there were gorgeous gardens emitting the most delicious floral scents I have ever come across. I wish I could have bottled it for you, never have I smelled such fragrances from flowers. The streets were narrow and steep, it was rich in its own little history and the kind of place I love to visit during my travels. It actually reminded me of Savoca in Sicily, without the Godfather connection of course. From here we worked our way back down into Monaco, again stopping to digest the views from above, and arrived at the Palace just in time for the changing of the guard. There were tourists everywhere and it was quite difficult to get close enough to see exactly what was going on but the atmosphere alone was thrilling. 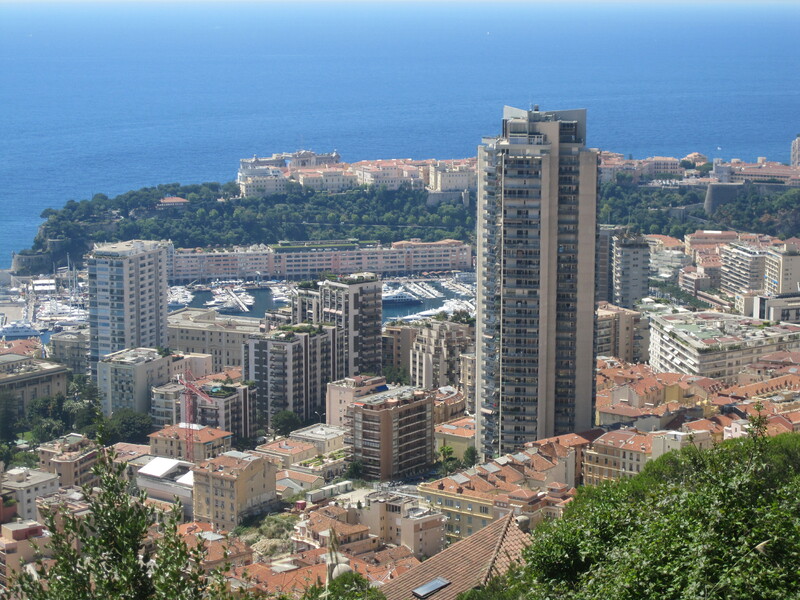 Once the excitement calmed and the crowd dispersed we grabbed a few pictures of the view across Monte Carlo then made our way down towards the cathedral. I have visited some stunning churches and cathedrals in my time but this one was something a little more special. It was pristine on the outside and as soon as you stepped through the door you felt so peaceful. At the back of the cathedral you will find the grave of Princess Grace Kelly. It was touching to see but very sad. There were fresh flowers laid along with a few other little trinkets, it really did move you. Our guide had left us here to do our own thing for one hour, when we were ready to continue with our trip she was there waiting. Next came the world famous Monte Carlo Casino. To be honest after visiting here several times already I am more excited by the never ending array of “posh” cars! Every way you turn there are top of the range and often custom designed Bentley’s, Rolls Royce Phantoms, Ferrari’s, you name it they are here! It gives you an often stomach churning glimpse into how the other half live. Our guide really was wonderful, she had an answer for every question I asked her. I was interested to learn more about the Prince and his family, Grace Kelly and so on. She informed us that the prince was in the palace yesterday because the flag was flying. She told us more about Grace Kelly and her accident and then showed us the properties that belonged to her daughters, even giving us a brief outline of where they are today. From one view point she mentioned that we were in France, below us was Monaco and literally just a stone’s throw to our left was Italy. She also pointed out that one particular building was an apartment complex where the rent is 120,000 euros a month. Residents here can drive their car into custom built elevators which will see them arrive whilst still in their cars on the floor which they live! Can you imagine that! Our excursion was 4 hours in total and we thoroughly enjoyed every moment of it. I have said it before and I’ll say it again please check out what the Shore Excursions Group has to offer before you next cruise, many of the tours are private or very small and there really is something for everyone! I struggled with my choice because of the selection but very pleased I settled on the Monte Carlo trip. Today we are in one of my favourite countries, Italy, and It is another scorcher of a day! So glad to hear you enjoyed the excursion, Danielle! So glad we could make this one work for you, and super happy to hear the guide was wonderful. Let us know when you’re cruising again! Eze was a jewel well worth seeing. Monte Carlo was very much overpriced and filled with crowds.